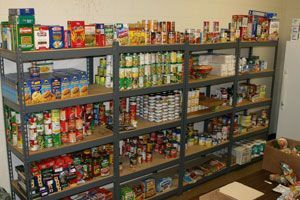 We have listed all of the Standsh food pantries that we have found. With help from users like you we have compiled a list of some. If you know of a food pantry that is not included here, please submit new food pantries to our database by going to the ADD A LISTING link on the header of our website. Standish FOOD Pantry, welcomes you Monday 9:30 -10:30 AM (limited items) and Wednesday 5 - 6:30 PM. Inside the Standish Town Hall, 175 Northeast Road, Route 35, Standish, ME 04084. We accept both monetary donations and donations of goods and services. Donate non-perishable items inside the Standish Town Hall "patio" box in the lobby or by appointment. Standish FOOD Pantry runs 100% on donations.